S.S. Rajamouli directorial masterpiece Baahubali is out in cinemas now. Receiving super positive response and appreciation from audience as well as critics. After watching the movie you will definitely say “Director has fulfilled his words” as I said. Along with all Indian Cinema lovers, I was also very much excited for the release of Baahubali from the time when I watched it 20 seconds teaser. Usually it happens; when you expect more, you will get less. But this time it has not happened, Baahubali (Hindi) was exactly the same as I was expecting. Each and every scene was amazing and deserves applause. 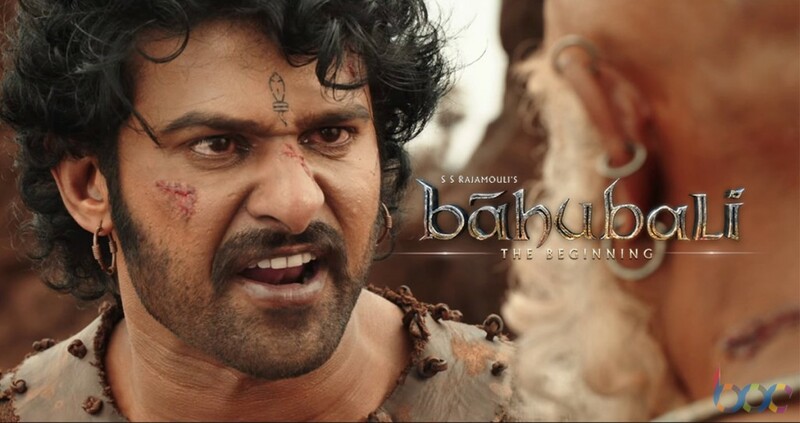 Baahubali is a movie in two parts, the story is based on clash between two brothers for a kingdom known as Mahishmati. When you will watch the movie, you will find three generations and in each generation, two brothers are against to each other. 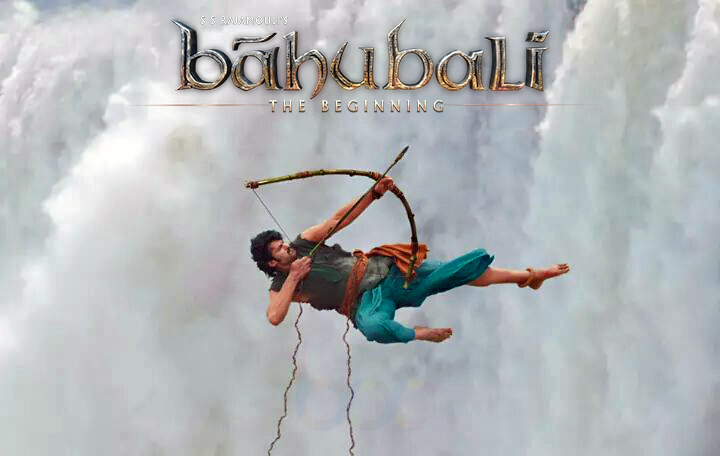 The first part Baahubali-The Beginning which has released today, showing half flash back & half present story. The story will get completed in its second part Baahubali-The Conclusion which is scheduled to be released next year in 2016. In the movie Prabhas Raju is in two characters Amarendra Baahubali & Shivudu alias Mahendra Baahubali but actually he is in three. First in the role of initial king of Mahishmati, who has already died. 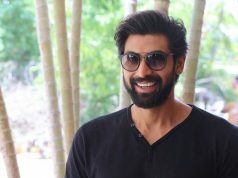 Second in the role of his son Amarendra Baahubali and third in the role of Shivudu who grows up as a tribal but actually a son of Amrendra Baahubali. Movie started with a lady who saved a child drowning in river. Some tribe people raised up the child, he was Shivudu who is very strong and skilled by birth because of his father. 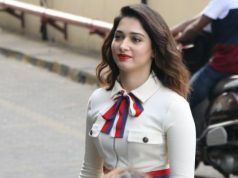 With his fate he falls in love with Avantika (Tamannaah Bhatia) who is one of the rebels in a mission to save Devasena (Anushka Shetty) from the claw of cruel king Bhallaladev (Rana Daggubati). In love, Shivudu makes a promise with Avantika that he will save out Devasena for her and enters in the kingdom where he meets with his past. From here the story gets interested and to enjoy it thoroughly, you should watch it. Entire star cast has performed very well in the movie and receiving appreciation for their work. 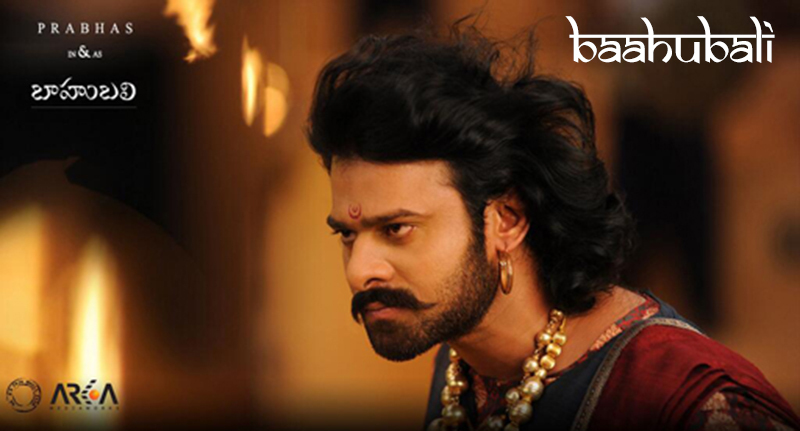 Especially Prabhas Raju & Rana Daggubati have nailed it, they both are looking amazing in their characters. Anushka Shetty is in non-glamorous role in a movie but looking promising with her character. I’m not enough skilled about movie direction to comment on the work of genius like S.S. Rajamouli. I want to say only “Direction of the movie is Excellent”. It is not a easy task to make movie on such high level, it could not be possible without a passionate person like S.S. Rajamouli. He just registered himself in the list of best movie directors of Indian Cinema by making Baahubali. Music of the movie is good, having 8 tracks composed by M.M.Keeravaani and penned by Inaganti Sundar, Ananta Sriram, Ramajogayya Sastry, K Shiva Shakti Datta, Chaitanya Prasad, Aditya & Noel Sean under the music label of Lahari Music. Positive Point(s): Each and every sequence in the movie is positive, in clear words Baahubali is not the movie to skip. Negative Point(s): Even after putting all efforts, some mistakes always left in our work. The same happened with Baahubali but only one- I’m talking about the scene when Shivudu holds the rope of falling giant statue. As per my knowledge the rope should be tight & straight due to heavy load connected to it, but in the movie it is looking loose and making the scene as fake.